Yes, he’s playing in blue, not red. Yes, that rankles a lot of Razorback fans. 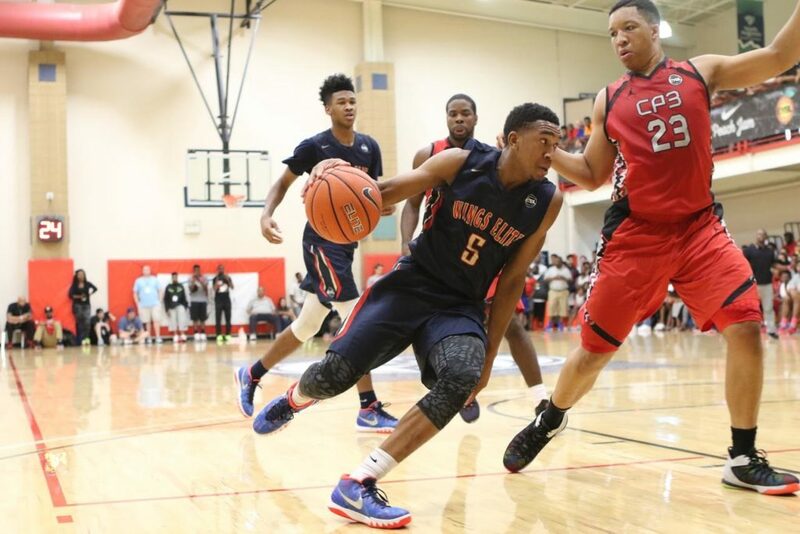 But the one year Malik Monk will spend in Kentucky doesn’t alter the 17 preceding years he spent in Arkansas. He’s still a native, and as such he long flashed potential of being the most talented basketball scorer the state has ever produced. Consider that potential — at least on the college level — reached. Arkansas’ lineage of talented collegiate scorers includes KeVaughn Allen and Archie Goodwin in recent years, and Corliss Williamson, Ron Brewer, James Allen and Eddie Miles in decades past. None of them ever did what Malik Monk did December 16, when the freshman erupted for 47 points including the game-winner against North Carolina in front of a national TV audience. Monk made 18 of 28 shots including eight three-pointers, while drawing comparisons to Jerry West and Michael Jordan from CBS announcer Bill Raftery. If Monk keeps playing like this in college and beyond, Joe Johnson had better enjoy his all-time NBA Arkansan scoring lead while he can. Arkansans represented their state well at the 2016 Olympics in Brazil. 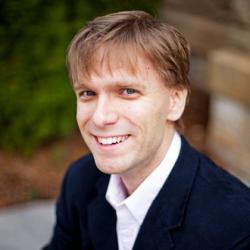 Jeffrey Henderson, a native of McAlmont near North Little Rock, impressed the most. 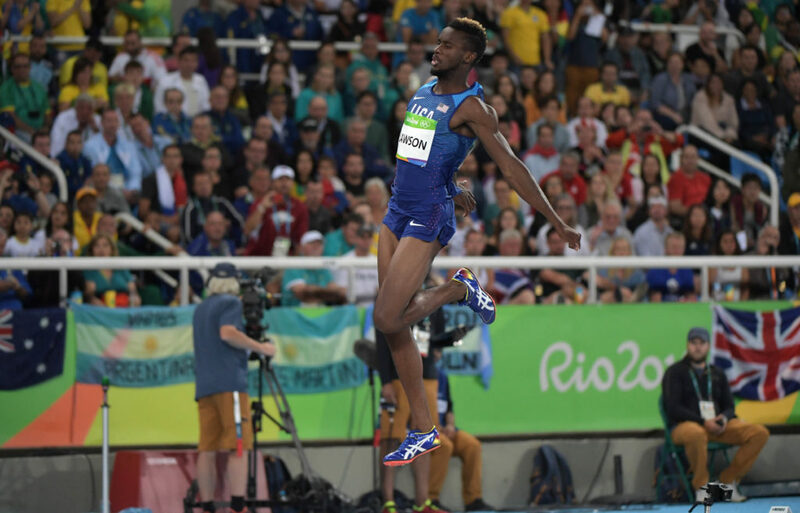 The Sylvan Hills High graduate won the long jump with a leap of 8.38 meters, the first time in 88 years an Arkansan has won gold for that event. In 1928, Lonoke’s Eddie Hamm last won gold after long jumping nearly 7.75 meters. 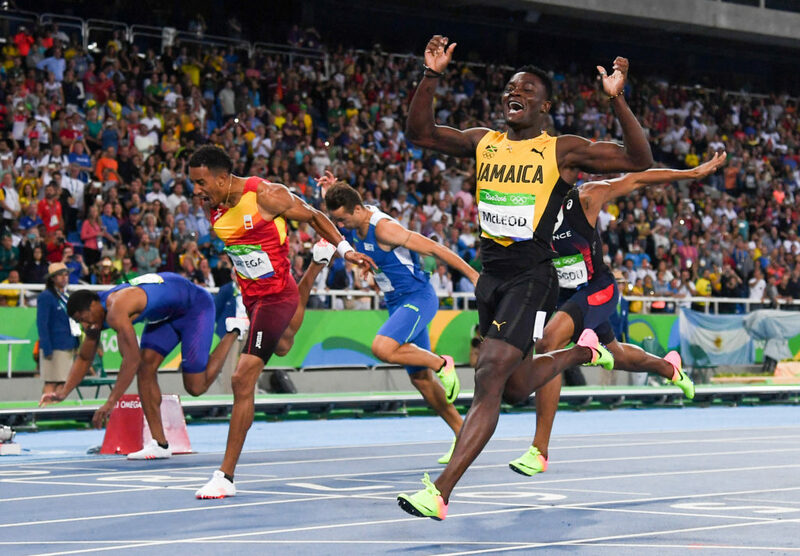 In the team events, Jonesboro native Kyle Clemons helped the U.S. take gold in the 4X400m relay. Two former Razorbacks also finished first in their respective events. Taylor Ellis-Watson helped the U.S. grab gold in the 4X400m relay, while Jamaican Omar McLeod won gold in the 110m hurdles. Two former Hogs also grabbed silver medals: Sandi Morris in the pole vault (the first time a Razorback has medaled in the event) and the ageless Veronica Campbell-Brown as part of the Jamaican 4X400m relay team. Let’s go ahead and get the bad news out the way: Nearly two months into the season, Moses Kingsley is underperforming as a scorer. No doubt, a scoring average drop of five points a game from the previous season is a bad look for any preseason SEC player of the year. But despite the 6-10 center’s tepid shooting start, Razorback fans should not lose sight of the good news. Moses Kingsley, a player good enough to be a legit SEC player of the year candidate and a lock for All-SEC, isn’t wallowing on the bench of some pro team this season. Instead, he’s still playing for the Hogs. 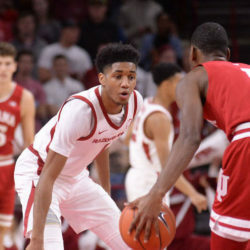 After seriously considering the 2016 NBA Draft, he chose to return to a Razorback team that is rapidly improving and out of the starting blocks with a 10-1 record: the best start in Mike Anderson’s tenure as head Hog coach. Without Kingsley, and his nearly nine rebounds and three block shots a game, Arkansas doesn’t have these 10 wins. 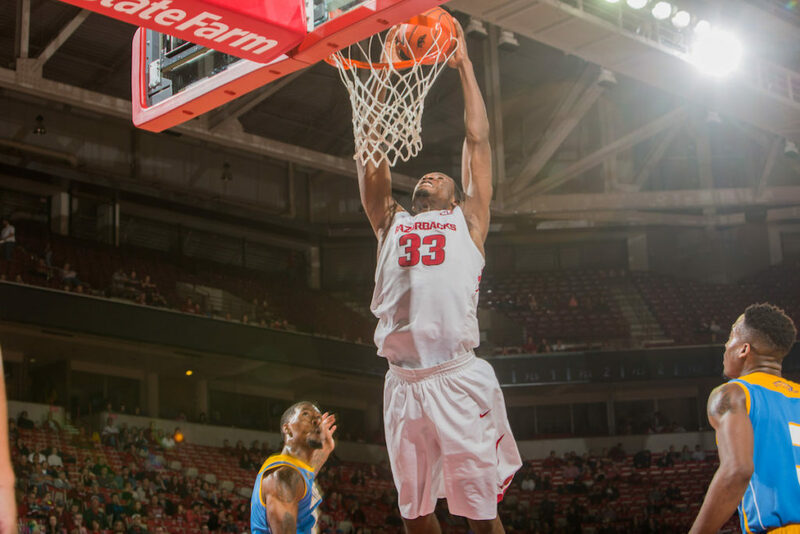 His length and agility around the rim were vital in Arkansas’ close win against Texas two weeks ago in Houston. If his shooting finally comes around, then expect the best season finish of the Mike Anderson Era too. In Brazil, Jarrion Lawson participated in the Olympics’ long jump and 4X100 meter relay yet didn’t medal. But in the U.S., this Razorback had a collegiate season like no other. Lawson capped a 19-time All-American, six-time NCAA champion career by winning the long jump and 100 meters and 200 meters at the NCAA Outdoor Track and Field Championships. Jesse Owens — yes, the Jesse Owens — is the only other athlete to accomplish this feat. And that happened 80 years ago. Arkansas’ 2016 football season will be forever defined by maddening inconsistency. Starting September 17, the Hogs alternated wins and losses game by game into late November. On Nov. 25, against an unranked Missouri squad, the Razorbacks had a chance to break this trend and finish on a strong note. Instead, they delivered their most aggravatingly inconsistent single-game effort in the four years Bret Bielema has been head coach. The Hogs breezed into halftime up 24-7 and clicking on all cylinders. All they had to do was hang on, and they would be in line for a 9-win season to continue a steady season-by-season improvement in overall wins under Bielema. 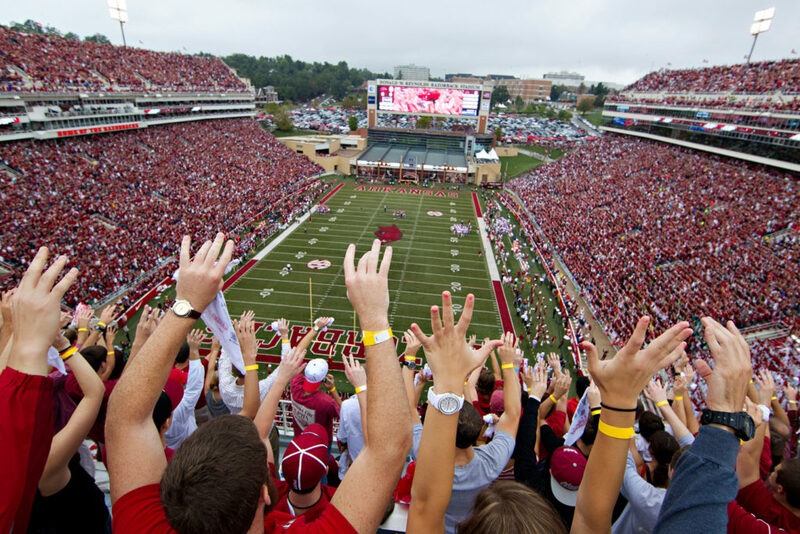 A win would have propelled Arkansas into discussion for the Sugar, Citrus or Outback bowls. Instead, the offense mentally signed off a half too early, sputtering as it produced no points on three trips inside the Missouri 10-yard line. And the defense, which was repeatedly beaten over the top, hardly played better. Missouri outscored Arkansas 21-0 that half for the 28-24 win, leaving the program with a raft of serious concerns involving almost every position group outside of running back, wide receiver and quarterback. 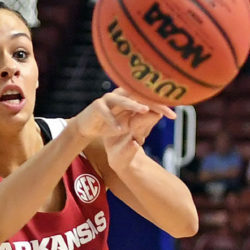 Now, the best Arkansas can hope for is extending its pattern of inconsistency into the postseason. 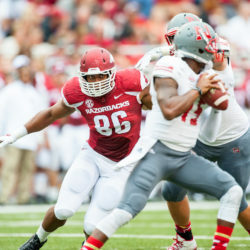 On Dec. 29, the Hogs followed up with another loss against Virginia Tech in the Belk Bowl. Can they hold true to form? 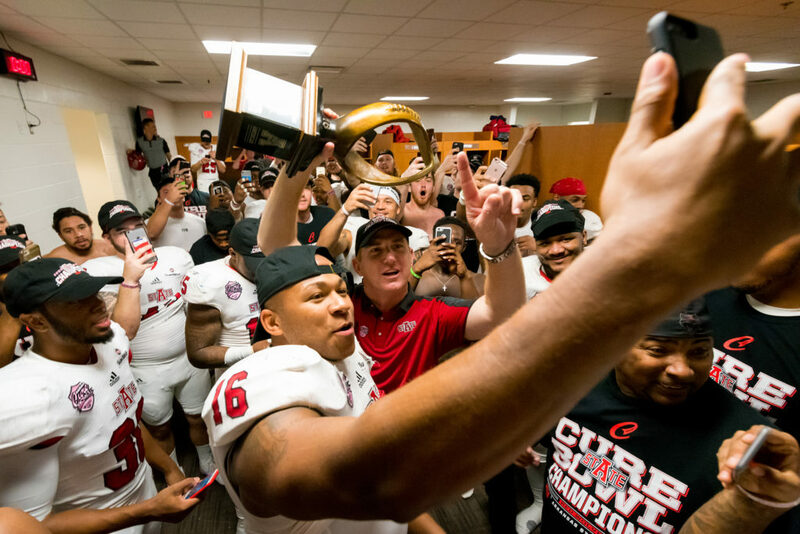 Arkansas State in-season bounce back: In a near polar opposite to the Razorbacks’ game-by-game pattern, the Red Wolves lost four in a row to start the season, then reeled off eight of their last nine — including Blake Anderson’s first bowl win as football head coach. Dallas Cowboys franchise bounce back: In the 1990s, the Cowboys steamrolled to three Super Bowl titles under owner Jerry Jones (Rose City, Arkansas Razorbacks). Those teams shared a common denominator: elite quarterback, elite running back and world-class offensive line. Now, we see those three elements back again with rookie QB Dak Prescott, rookie tailback Ezekiel Elliott and a stellar offensive line. They have led Dallas to a 13-2 start and talk of a new dynasty dawning. 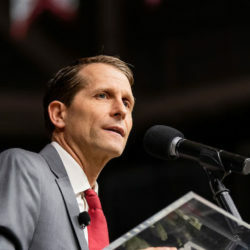 Trojan basketball fever sweeps Arkansas: Arguably the greatest team in Arkansas-Little Rock basketball history won a program-record 30 games, including a first-round double-overtime thriller against Purdue in the NCAA Tournament. Kneeling Razorbacks: Six members of the Razorbacks women’s basketball team kneeled during the national anthem during a home game November 3. They said their motive was raising awareness for police brutality issues involving African-American communities across the nation. 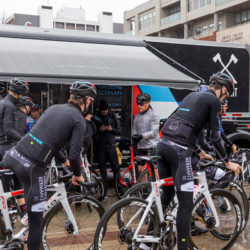 The public’s reaction inflamed an ongoing debate involving patriotism, the right to free speech for student-athletes during games at public universities and the appropriate role of athletic administrators and staff in the context of socioeconomic or racial protests. Saline County Helps Lift the Curse: The longest championship drought in major American professional sports ended this October when the Chicago Cubs finally won the World Series. Relief pitcher Travis Wood, a Bryant native, helped them return to the summit.